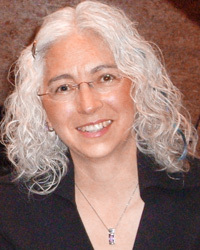 Victoria Sabo, pianist, composer, and teacher, credits her inspiration for her compositions to her mountain climbing, back country skiing and wilderness backpacking experiences. She obtained her master's of music degree from the University of Wisconsin, Madison, and her bachelor's of music from the University of Colorado. Ms. Sabo's children's choral composition has been chosen for state music festivals across America. "As in composition, my passion to teach and perform comes from the desire to share the spiritual and emotional qualities of music."